Separating the two nasal cavities is bone and cartilage called the nasal septum. In cases where the septum has been dislodged or deviated from the normal position, patients have what is commonly known as a deviated septum. Patients with a deviated septum were either born with this misalignment, or it resulted from an injury or trauma such as a broken nose. A deviated septum may be responsible for all kinds of nasal and sinus pain and disorders including sinusitis. That’s because the displacement (deviation) of the septum often leads to nasal obstruction, triggering conditions such as difficulty in breathing, chronic sneezing, nasal pain, recurring infections and even the loss of smell. Dr. Cohen’s patients who have chronic nasal congestion often have a deviated septum. But other symptoms of this misalignment may include loud snoring, ongoing postnasal drip, headaches, facial pain, and nosebleeds. Severe deviations may even lead to sleep apnea. 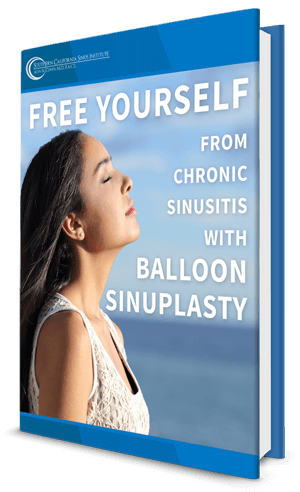 At LA’s premier sinus center, the Southern California Sinus Institute, nationally renowned sinus surgeon Dr. Cohen is proud to perform minimally invasive septoplasty for patients suffering from a deviated septum. In many cases, the septoplasty performed in-office will require Dr. Cohen to merely realign the septum, making tiny incisions within the nose, so that there is no scarring, expedited recovery, and minimal pain. In many cases, the in-office septoplasty Dr. Cohen performs to correct a deviated septum will only take one hour. In some cases, a septoplasty may be performed by Dr. Cohen in conjunction with rhinoplasty (cosmetic nose surgery), in order to improve the appearance of the nose for the patient. Contact the Southern California Sinus Institute to schedule a consultation with award-winning, Los Angeles based ENT and sinus surgeon, Dr. Alen Cohen today.